Musical Fidelity Merlin System so good we put it in the window! 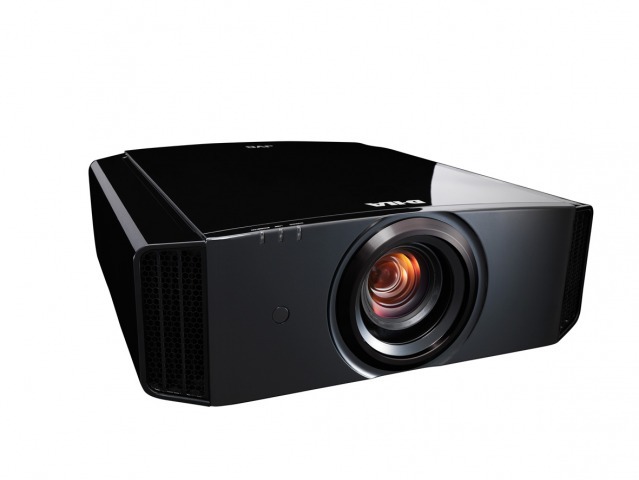 The individual components are available separately, but there is a price saving of £200 if bought as a system. 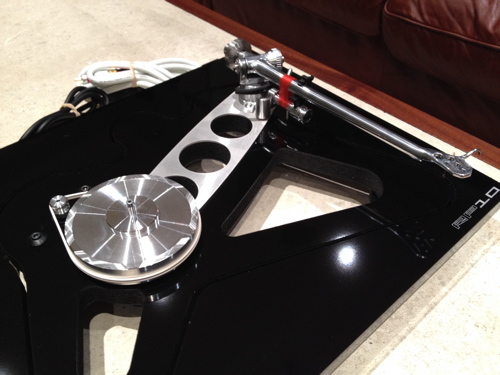 The system comprises the Roundtable turntable, the Merlin amplifier, and the Merlin loudspeakers. 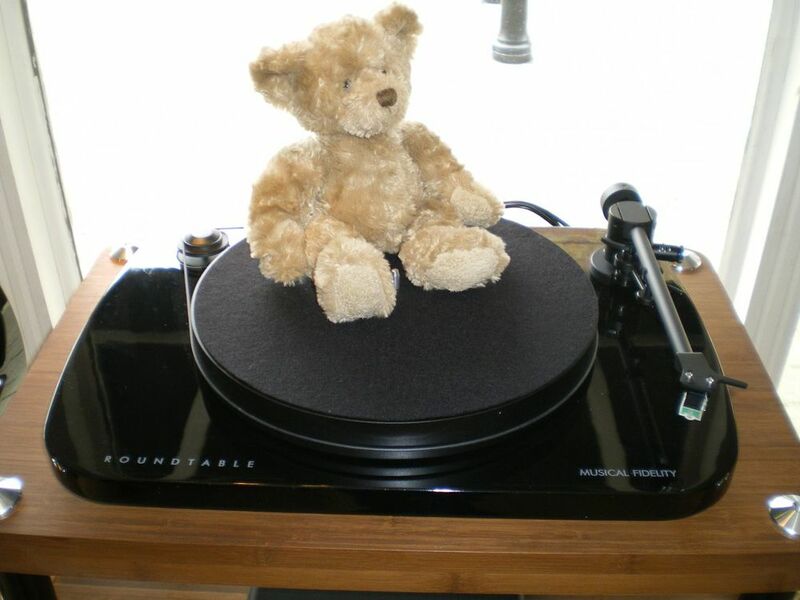 As you can see the turntable is beautifully built, comes complete with an Audo Technica Cartridge, and sounds really good, it has some clever design features which all add to the aound quality, like placing the units centre of gravity at the bearing. 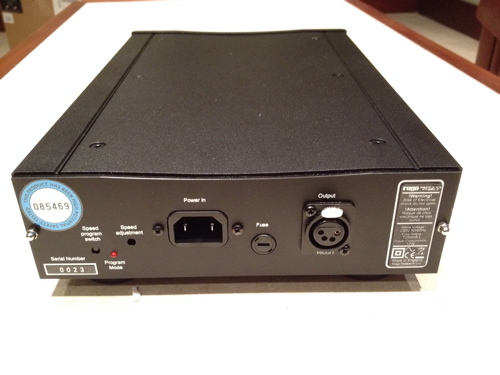 The little Merlin amplifier really punches above its weight, both in sound quality and available features. 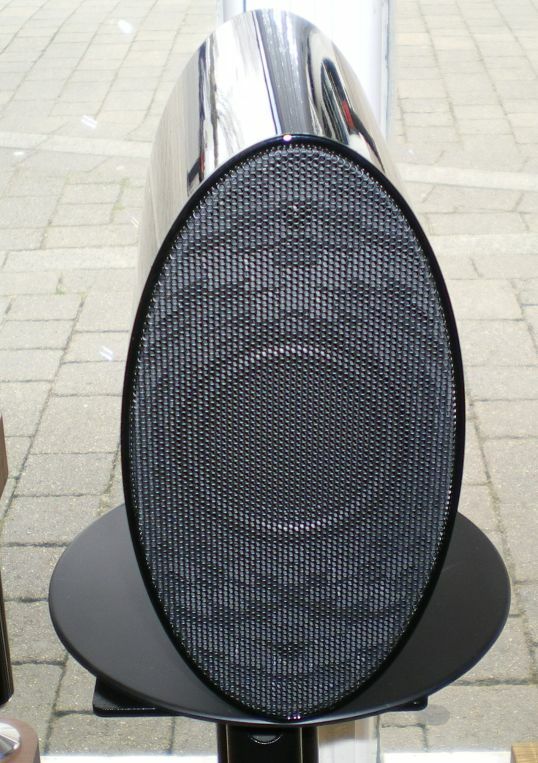 Last but not least are the little (yes that word crops up a lot with this system) Merlin Speakers, they have a sculpted baffle, which you can see here behind the grille, which produces a very wide dispersion soundfield making the system sound much bigger than would be expected. It is a truly surprising performance from such a small enclosure. All in all this system sounds great, looks great, and most importantly is fun to listen to: so get up in your loft, rescue those old LPs and get yourself a Merlin system. 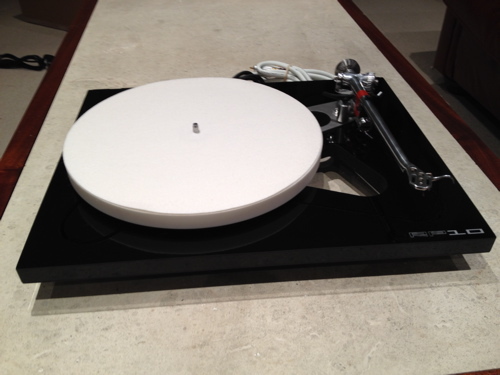 Rega launch Saturn-R and lands in Reading!! 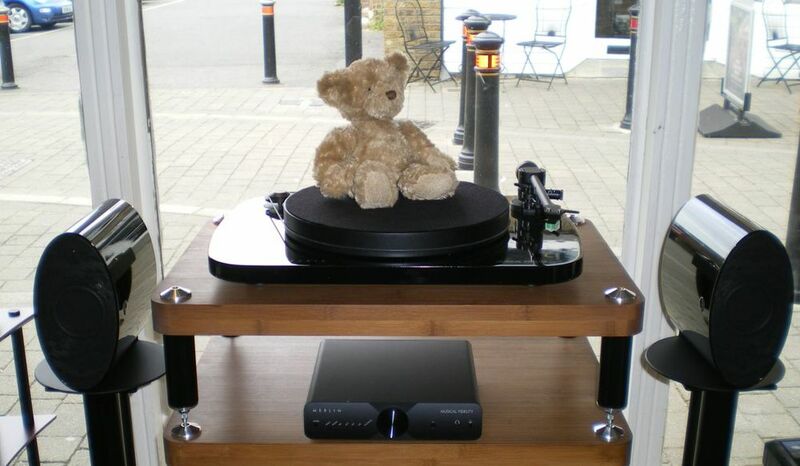 Rega's long awaited Saturn-R CD-DAC Player arrived 5 minutes ago and is straight out of it's box and running in the store-front coupled to the Elicit-R.